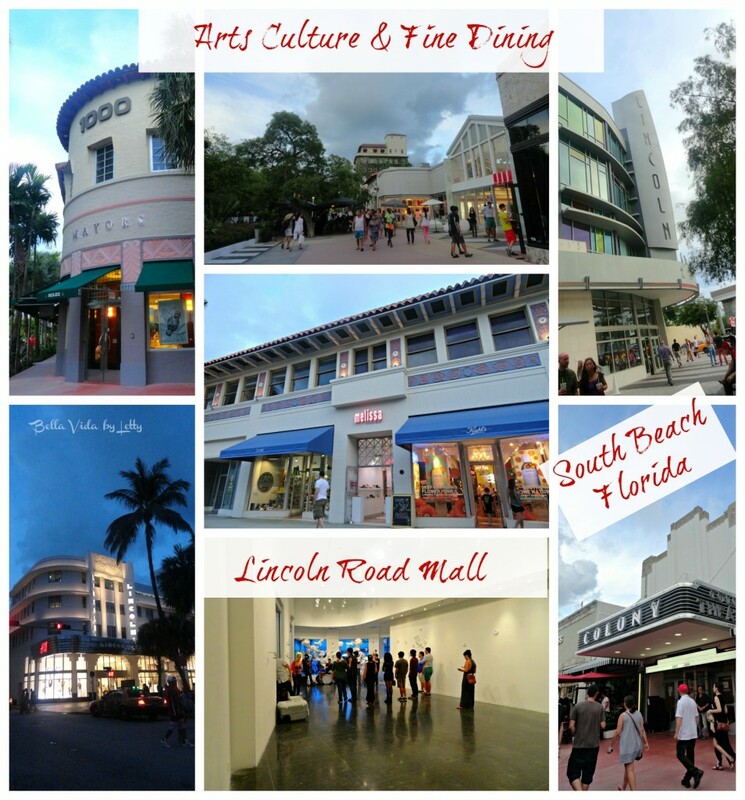 South Beach is also known as the historic Art Deco District. A trip to Miami is not complete until you visit and experience this area for yourself. You will be transported to another time surrounded by the interesting architecture, which dates back to the 1920’s. Everywhere you look you will find fancy details from that long ago era. 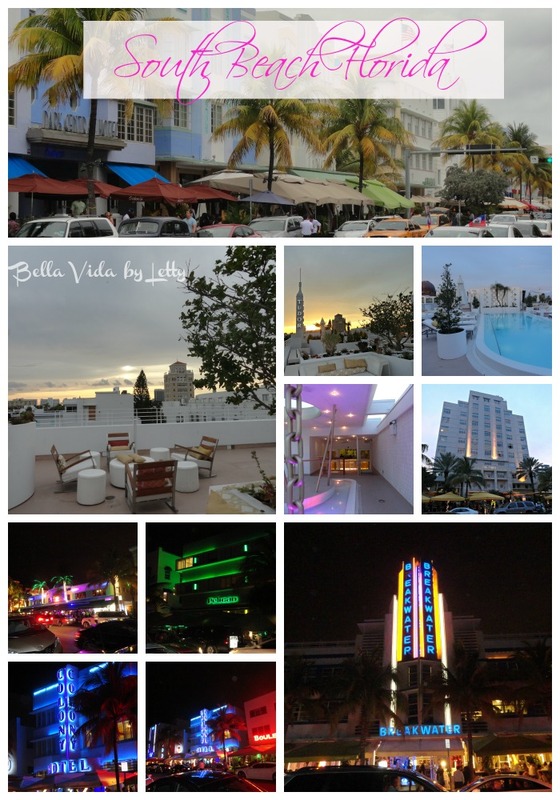 Today there are over 800 Art Deco Structures lighting up South Beach in a rainbow of neon and pastel. My favorite thing to do at South Beach is to try and catch the sunset. 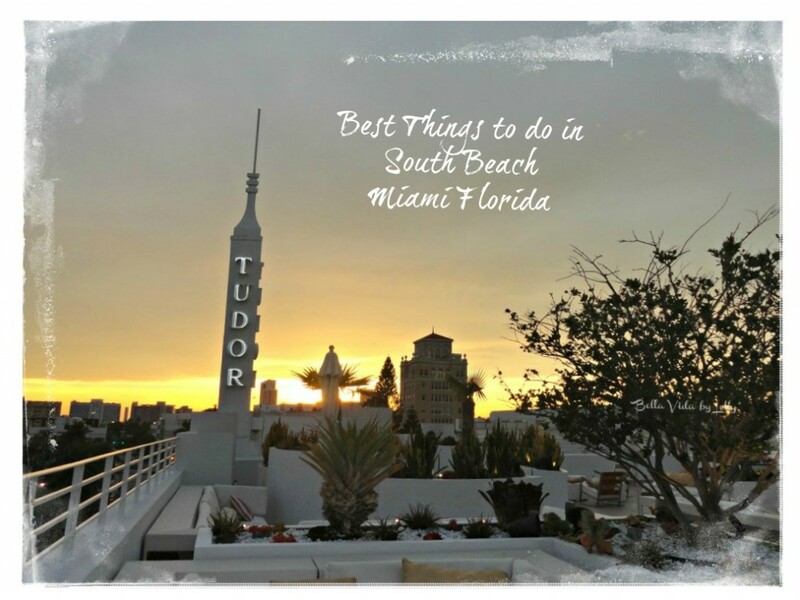 This photo was taken on the beautiful romantic rooftop of the Tudor as the sun was setting. You can find more things to do, news and deals by reading my specially curated Florida twitter list. 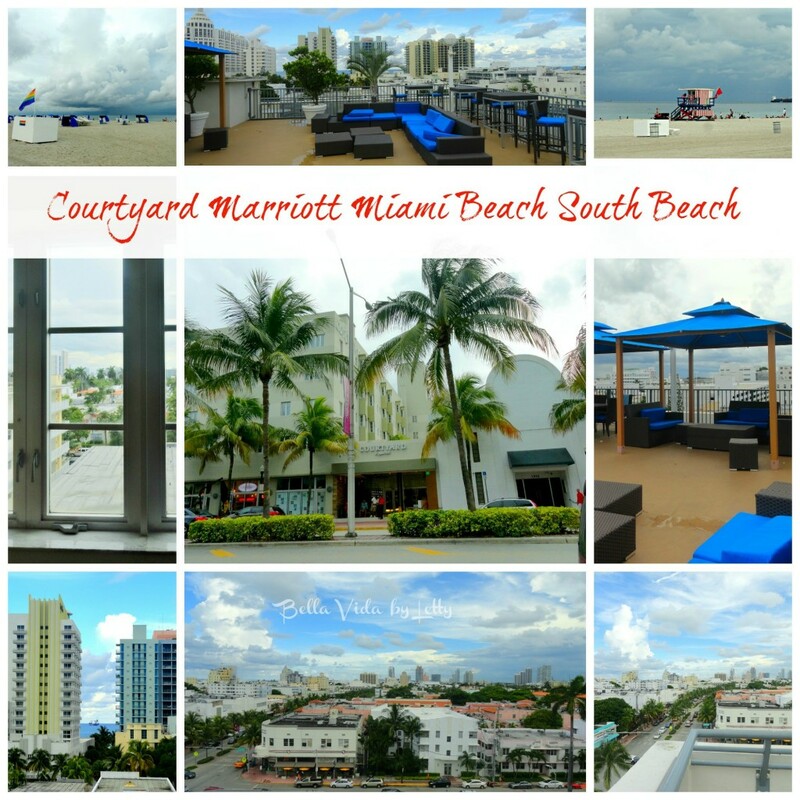 Have you been to South Beach? Culinary travel is the pursuit of unique and memorable experiences of all kinds. It is making the food and drink an essential part of your travel. When people make their travel plans they usually focus on the destinations without realizing how food and drink can immerse you in the local culture. It doesn’t mean visiting only five star restaurants but it does mean local and interesting. It connects you to the people which are the heart of the place you are visiting. Learning about the food and how it’s prepared not only teaches, it connects you with the destinations history. Last weekend I took a South Beach happy hour cocktail tour which walked us through Miami Beach’s historic art deco district. The tour involves visiting five hot spots and trying out a different specialty drink at each stop. South Beach is known for being glam, gaudy and expensive. 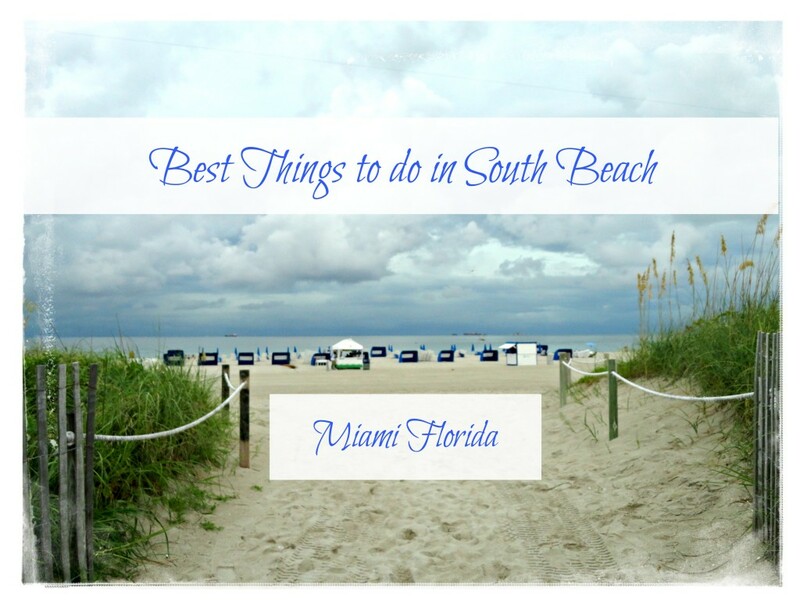 For some it might even be intimidating which is why tours are such a great choice since you are personally guided to the hottest spots in South Beach by local experts. Our Miami Culinary tour guide Richie was charismatic, entertaining and informative. I’ve been on tours where the guide nearly put me to sleep but this was not the case with the Miami culinary tour. 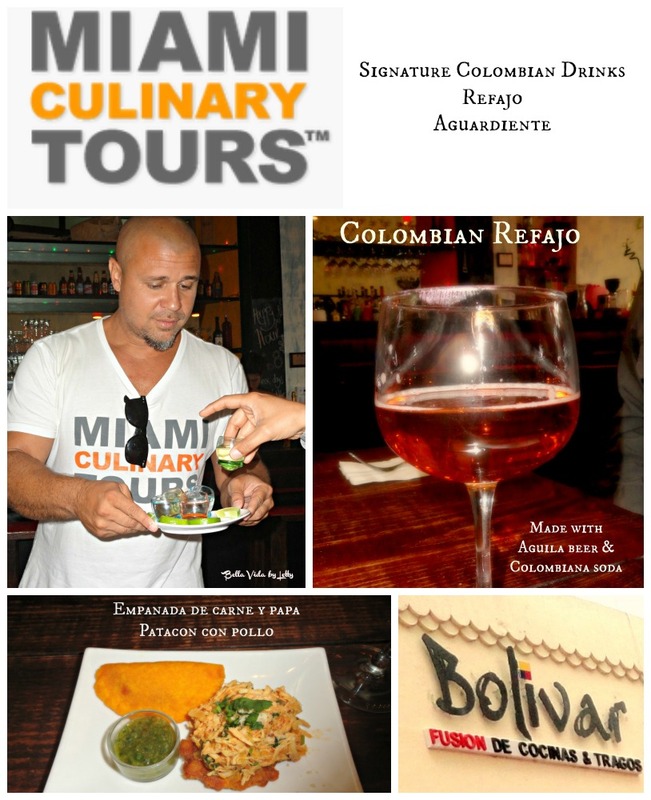 Richie started the tour at a Colombian spot on Washington Avenue called Bolivar. Since this was a cocktail tour he wanted to make sure to we had something to eat since drinking on an empty stomach will ensure it will go straight to your head. We were served tasty Colombian style corn empanadas stuffed with potatoes and meat as well as patacon topped with deliciously seasoned chicken. The food was authentic and very good. Richie gave the group Spanish lessons while we ate and sipped on refajos. 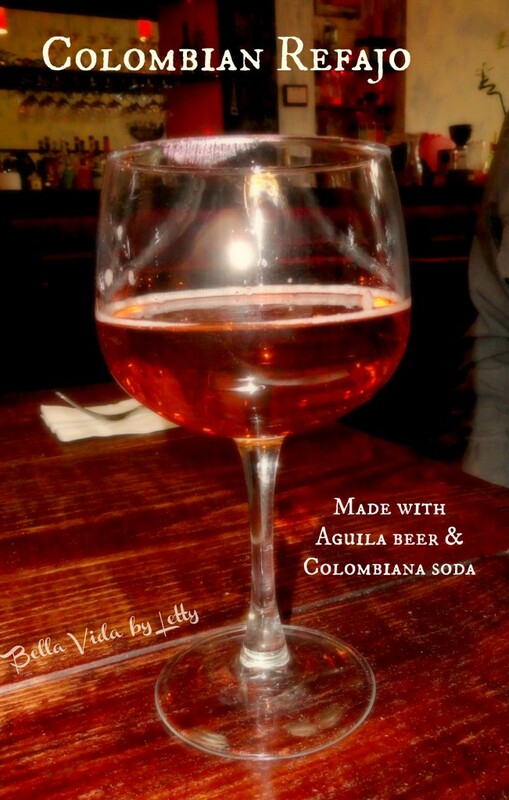 Refajo is a typical Colombian drink made with beer and cola. I’m from Puerto Rico so I could taste the sweetness of the cola champaign immediately. I’m not a beer drinker but this was a nice twist. Before we left Richie wanted us to try Colombia’s national drink. Aguardiente is a very strong alcoholic beverage made from anise and sugar cane. The translation is fire water and is pretty accurate. The drink has a licorice flavor and packs a punch so watch out. Continuing on through South Beach’s colorful neon scenic backdrop we learned more about the city through Richie’s colorful anecdotes and tidbits of facts and history. He shared many interesting facts about local icons, characters and actors. By the end of the night the group really had a feel for Miami Beach culture and what life here is like. The tour went on and we got to try great mojitos at the newly renovated Larios, one of Gloria and Emilio Estefan restaurants. 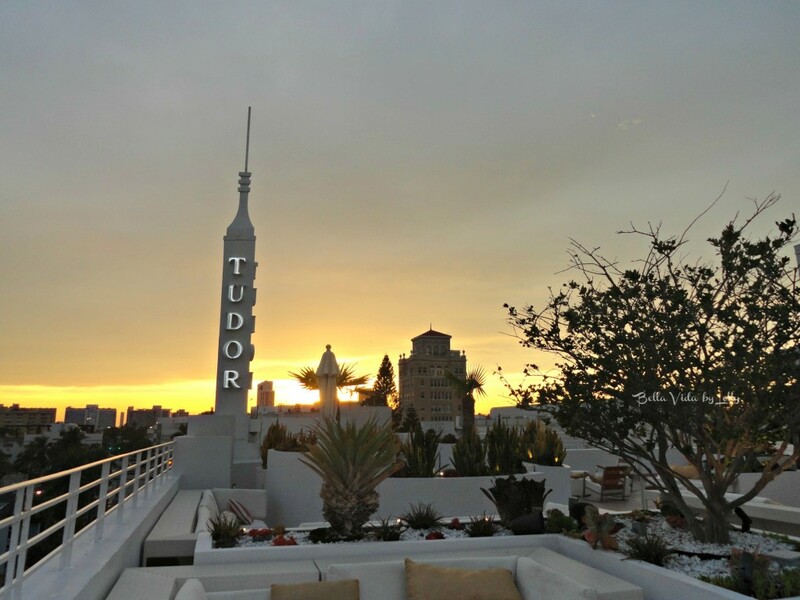 My favorite part of the tour was drinking a sunset on the beautiful romantic rooftop of the Tudor as the sun was setting. I do like vodka drinks and the combination of vodka and pineapple was divine. Our bartender, Jason, surprised the group with a shot of coconut flavored vodka with pineapple juice. It was delicious and had the group feeling fine. The tour ended at the iconic Tides hotel with a fruity mango tequila drink which was very good especially if you like tequila. As a Floridian I really enjoy learning new things and having new experiences. It was fun meeting new people and adding new flavors to my travels. Get to know the local hot spots. Learn about local celebrities and history. Try new cuisine and cocktails. Learn how to make them yourself. Have fun meeting new people or take your friends on a private tour. I was invited to join this tour in exchange for my honest review and am very happy to report the tour delivered on their promise of good food and drinks and an all around good time. I recommend joining a tour to really get to know the history and even local gossip of the place you’re visiting. 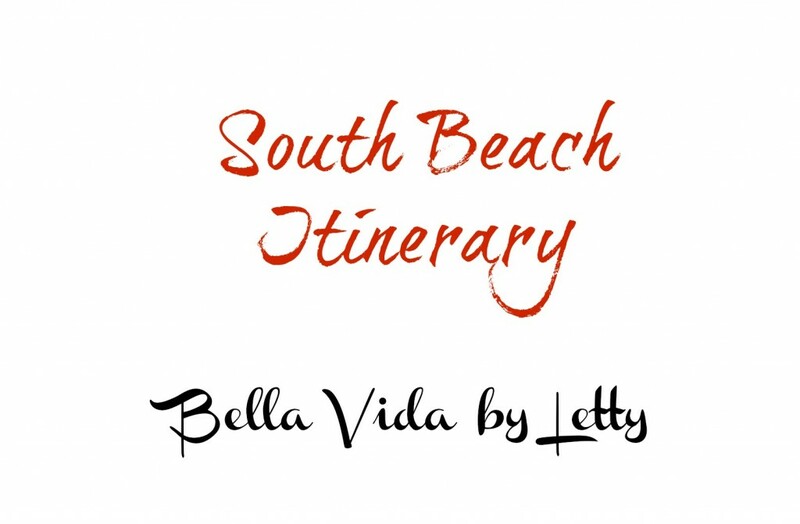 It’s a great way to get intimate with the Miami Beach community and get a true taste and feel of the local culture as told by local experts. 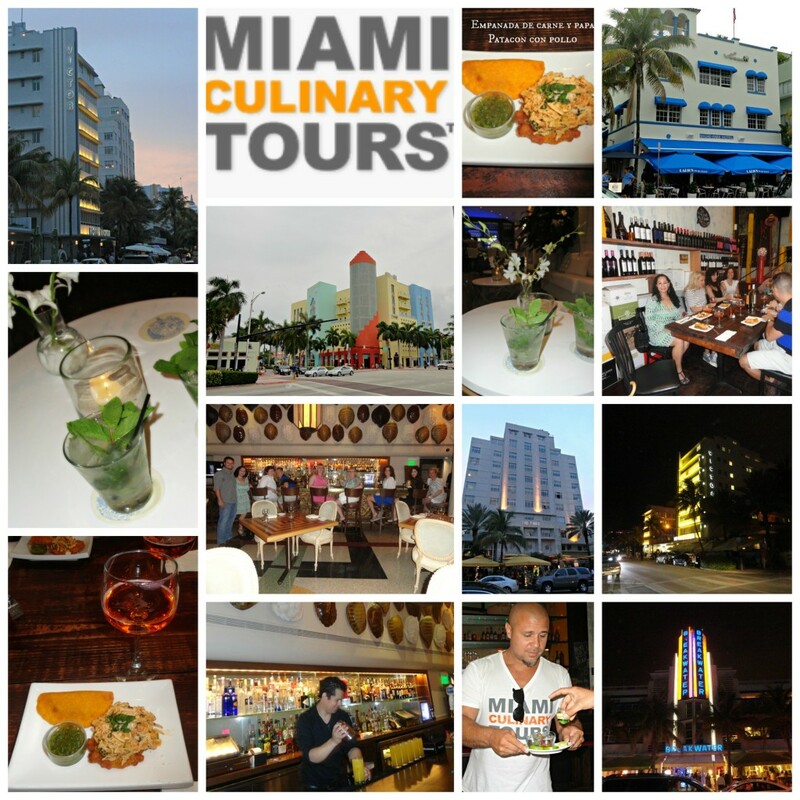 You can check Miami Culinary Tours website as they have a variety of styles of tours to meet different foodie types. I plan on trying the other tours in the near future. Have you taken a culinary tour? What did you think?